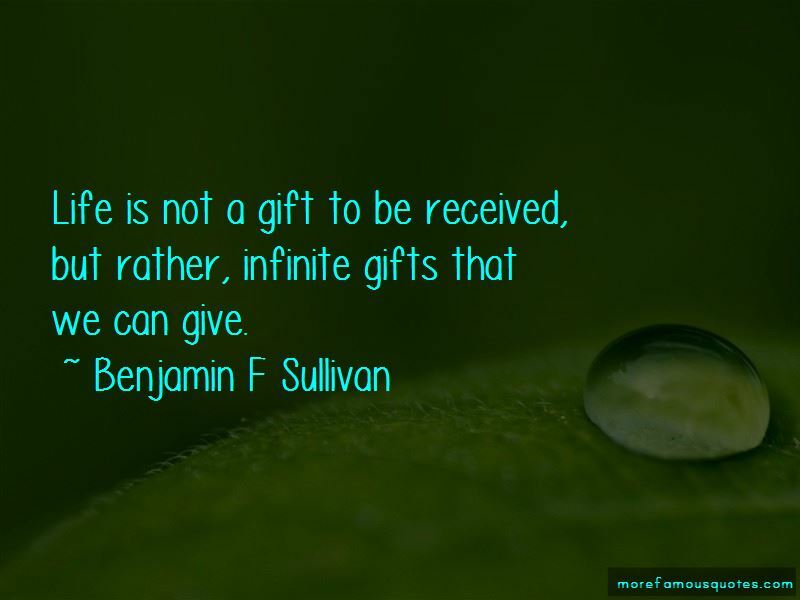 Enjoy the top 4 famous quotes, sayings and quotations by Benjamin F Sullivan. God is discovered entirely through creation - the brilliance of a sunset, the powerful roar of a waterfall, the symphony of sounds you hear in the heart of the forest, or the vastness of space and its countless stars. God is the mastermind behind all matter - every earth shattering scientific discovery and mystery that is yet to be unraveled was dreamed and enacted by God. Don't worry about where you are or what you have or even what you think you want. Take one step at a time and worry only about only this - who you are - who you really are. 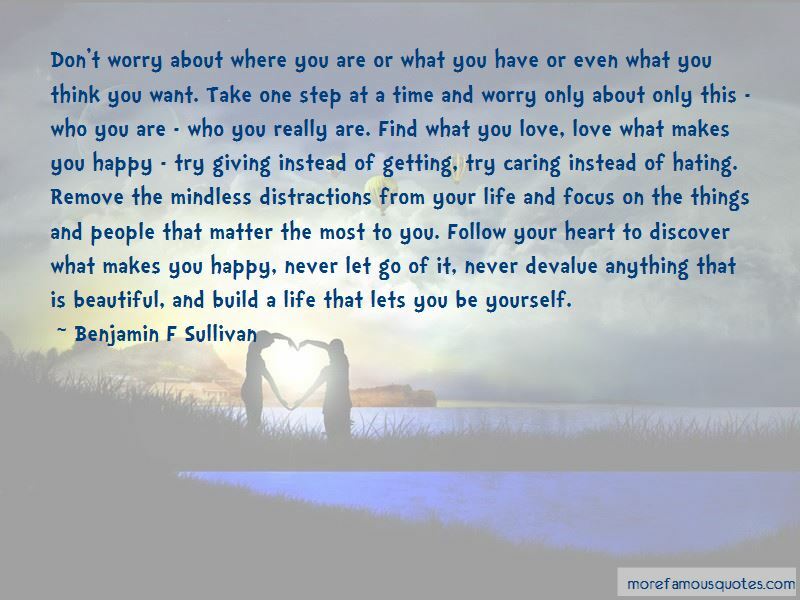 Find what you love, love what makes you happy - try giving instead of getting, try caring instead of hating. Remove the mindless distractions from your life and focus on the things and people that matter the most to you. Follow your heart to discover what makes you happy, never let go of it, never devalue anything that is beautiful, and build a life that lets you be yourself. 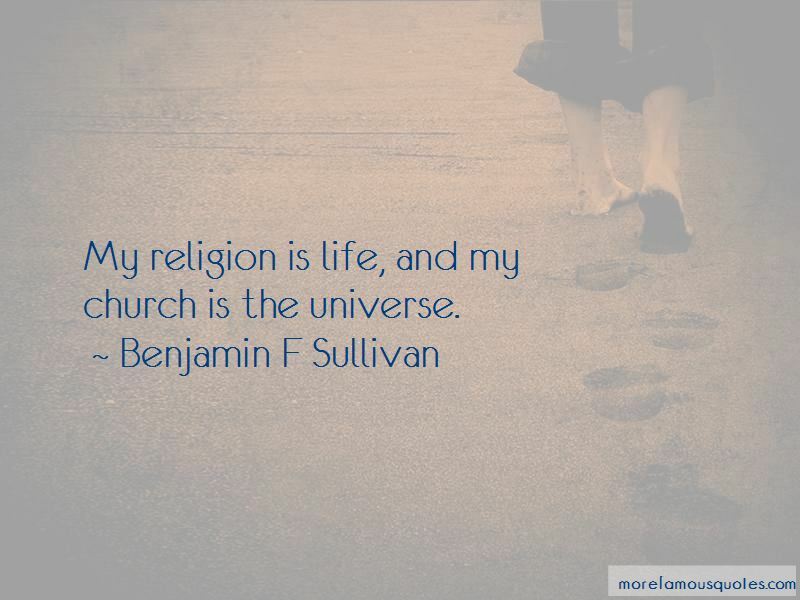 Want to see more pictures of Benjamin F Sullivan quotes? 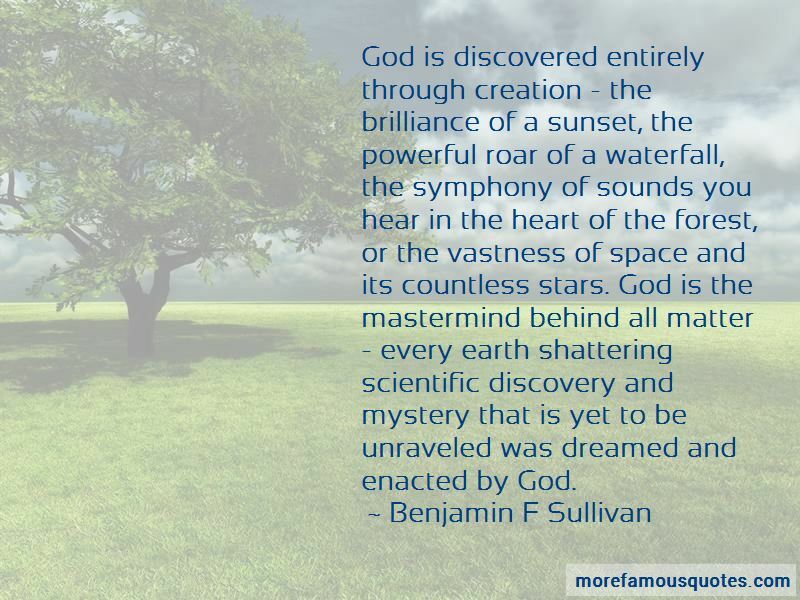 Click on image of Benjamin F Sullivan quotes to view full size.